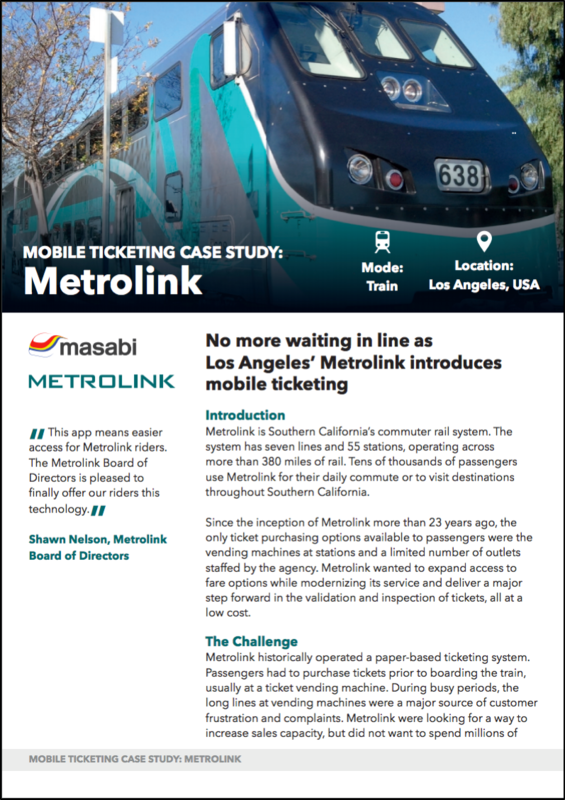 Metrolink is Southern California’s commuter rail system. Historically they operated a paper-based ticketing system. During busy periods, the long lines at vending machines were a major source of customer frustration and complaints. Achieve 13% adoption after month long pilot. Achieve 15% adoption network wide after three months. Introduce new Inspect validation app.